This past Sunday, 13 members of our staff took part in the CN Tower Climb to raise money for the United Way of Toronto and York Region. 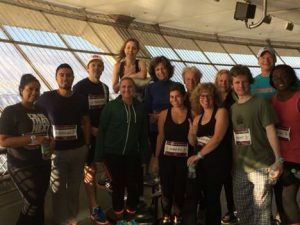 We are pleased to announce all of our team members made it to the top and raised $3,359 to support local families in need. Pictured below are the team members after conquering all 1,776 steps! Our thanks to Amy Mayor for organizing and leading the team.